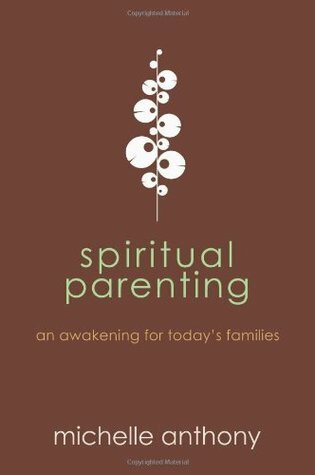 Spiritual Parenting: An Awakening for Today’s Families by Michelle Anthony is a book which I recently read. One needs to create spaces where GOD can work his wonders. This can be through a variety of activities like a few of those listed below. There are 10 different environments which are exposed to in our lives where GOD resides. However before we start looking at these environments we need to pray and ask for GOD’s directions to guide us to reach our potential as a spiritual adviser to our kids. The best way to get your child to understand and remember the Big Story /chapters in the bible is to tell stories based on your personal experience. We need to show how god uses the circumstances in our lives – both the positive and the negative- to bring us closer to himself. In this way our kids will be able to understand how GOD works in their lives too. community that seeks to live out God’s love. Even though the kids may error in their ways it is up to us as an adult to guide them and send them down the right path. We are their spiritual guide here on earth and it is very beneficial for them to be provided with the various stones they need to help anchor their faith in GOD. I have been struggling to find the best way to enhance the kids knowledge in GOD. Born a Catholic and having been through all the different rites and even Sunday school I do find my faith lacking. There are many parts in the Christian faith that I have been questioning about its relevance in today’s world. Certain practices seem outdated and more man made then what is actually stated in the bible. Reading the book gave me a better insight on how other Christian parents are bringing up their children and how they create an environment of responsibility at home with GOD at the center of focus. Creating opportunities where children are able to take responsibility for their actions and ownership of their family members, school and community is what we should do as a parent. It is important for one as a parent to take responsibility for oneself and be proactive . Lead by example as this is the best way of teaching a child. Many a times while disciplining my kids I am unable to solve the problem as only stop- gap measures have been used. The root problem was not exposed and healed so that it no longer causes the negative problem. This is an area which I will have to focus on in order to accelerate the kids Spiritual formation. Do grab a copy of the book and I’m sure it will make your journey as a parent much clearer. Nice book. I do agree that parents should be a good example to their children because they follow our footprints. I would agree, as a parent you’re your kid’s first teacher. And it’s also great to share our faith with them. There are many ways to get kids interested in God and practice their faith, with music, tv shows, and a lot more.